In 1995, Big Picture Learning burst upon America’s languishing public education system. This brainchild of two daring educators, Dennis Littky and Elliot Washor, has grabbed the hearts, hands and minds of young people, inspiring them to become: Lifelong learners. Productive workers. Engaged human beings. 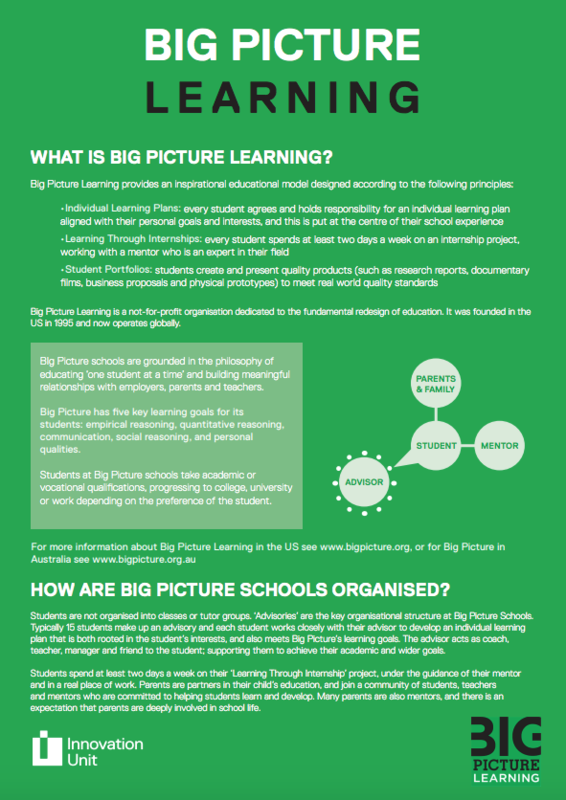 Today, Innovation Unit are working with Doncaster Metropolitan Borough Council to bring Big Picture Learning to the UK.